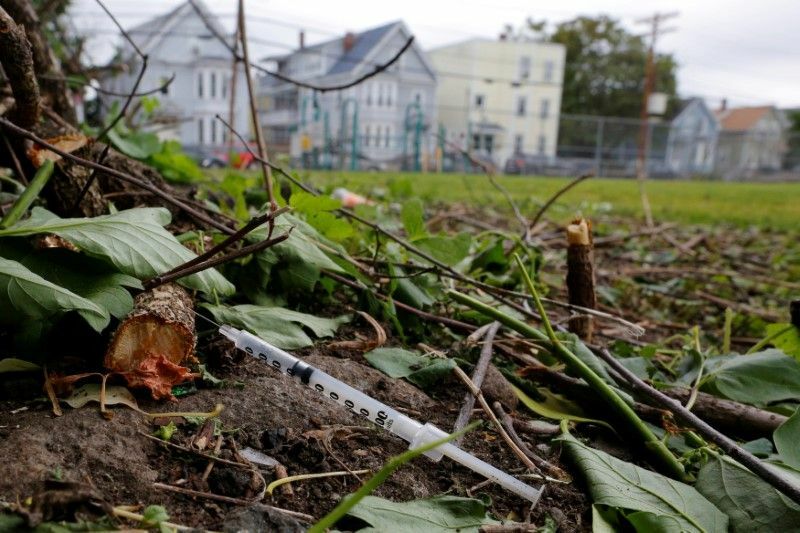 WASHINGTON (Reuters) – U.S. President Donald Trump will declare the nation’s opioid crisis a public health emergency on Thursday in a bid to redirect federal resources and loosen regulations to combat widespread abuse, senior administration officials said. Trump’s planned announcement comes in response to an epidemic that has worsened in recent years and especially wreaked havoc in rural areas. But the move stops short of declaring a national emergency, which would have freed up additional federal funds to combat the epidemic. Officials said the declaration would help fight abuse of prescription painkillers, heroin and fentanyl by expanding access to treatment, and curb delays in staffing the Department of Health and Human Services to help states grapple with the crisis. “The declaration … will really reorient all of the federal government and the executive branch’s resources towards focusing on providing relief for this urgent need,” one official told reporters on a conference call ahead of a speech by Trump on the issue at 2 p.m. ET (1800 GMT). The United States is battling a surge in opioid-related deaths, including 33,000 in 2015, more than any year on record, according to federal data. Opioids, primarily prescription painkillers, heroin and fentanyl – a drug 50 to 100 times more powerful than morphine – are fueling the drug overdoses. About 100 Americans die each day from related overdoses, Centers for Disease Control data shows. The reach of the crisis has pressured Trump to act, but Thursday’s move may still frustrate public health officials and others who had urged a quicker and more forceful response. “We must instill a heightened sense of urgency in the White House,” Democratic U.S. Representative Elijah Cummings wrote in an op-ed on Wednesday ahead of the announcement. In July, members of a White House commission on the drug crisis had recommended that Trump declare a national emergency. One month later, the president said he would make an announcement on the opioid crisis, but later said more time was needed to coordinate the response. That effort was further complicated earlier this month when Trump’s choice for White House adviser on drug policy, former congressman Tom Marino, withdrew from consideration. On Wednesday, the president told Fox Business Network he would be declaring the crisis a national emergency, which would have opened up additional federal funds. But officials told reporters on the conference call Thursday that those funds under the Federal Emergency Management Agency have been nearly exhausted after recent storms struck Puerto Rico, Texas and Florida. The administration would have to work with Congress to help provide additional funding to address drug abuse, they added. Thursday’s declaration also allows the Department of Labor to issue grants to help dislocated workers affected by the crisis. HIV/AIDS health funding would also be prioritized for those who need substance abuse treatment, officials said. Additional actions under the move would be announced in coming weeks by various agencies, they said. Previous: Google discovers Russian operatives bought ads on Facebook, YouTube, and Twitter – social media a threat to Democracy?